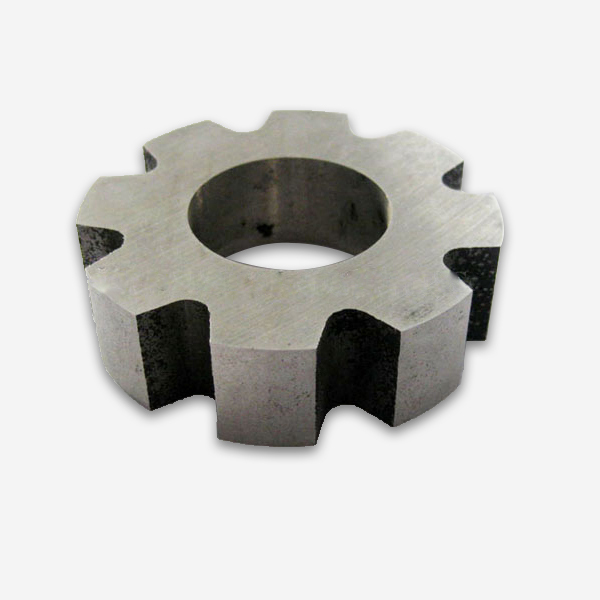 SmCo magnets , also called SmCo magnetic steel , one kind of Rare Earth Permanent materials , made from raw earth metal Samarium and cobalt, with iron , copper , zirconium, praseodymium and other metal elements in certain proportions , by melting , milling , shaping , sintering processes. 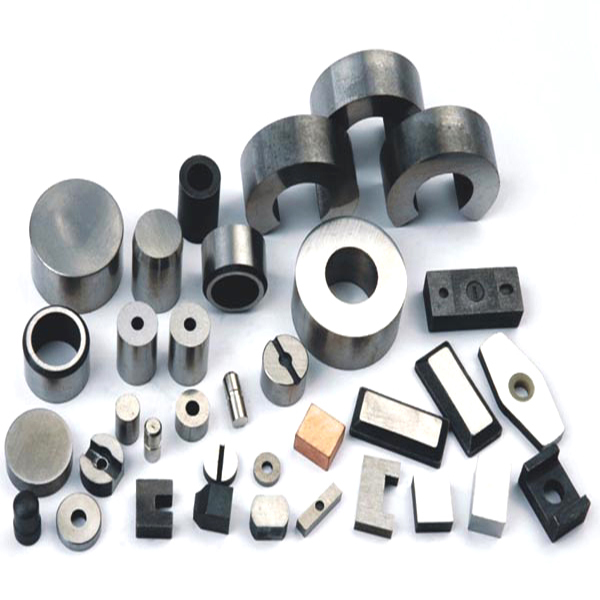 SmCo magnets,also called SmCo magnetic steel,one kind of Rare Earth Permanent materials,made from raw earth metal Samarium and cobalt,with iron,copper,zirconium,praseodymium and other metal elements in certain proportions,by melting ,milling ,shaping,sintering processes.Due to its excellent properties : higher magnetic properties (high energy product, high coercivity, high remanence);very low temperature coefficient(-0.030% / ℃),high working temperature (The maximum temperature is up to 350 ℃),negative temperature un-limitation,the good stability of the maximum energy product-BH，temperature and chemical,strong anti-corrosion and oxidation resistance,now widely used in aerospace,defense industry,microwave devices,communications,medical equipment,instruments, wind power,avariety of magnetic drives,sensors,magnetic processor,high-end motor, etc. 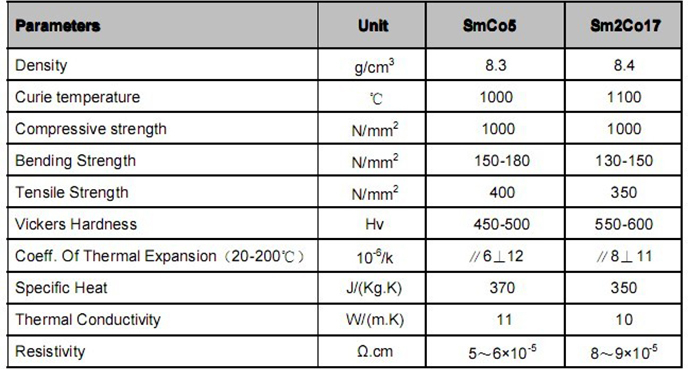 SmCo1:5 magnet,also Called SmCo5.Made from the metallic samarium,cobalt,iron,copper,zirconium,PrNd and other metal elements in certain proportions,by melting,milling,shaping,sintering processes.The(BH)max range is from 16 to 25,maximum working temperature reaches 250°C.The mechanical character and ductibility of SmCo5 is better than Sm2Co17, easier to be machined in to complex sizes,very thin disc and thin-walled ring. 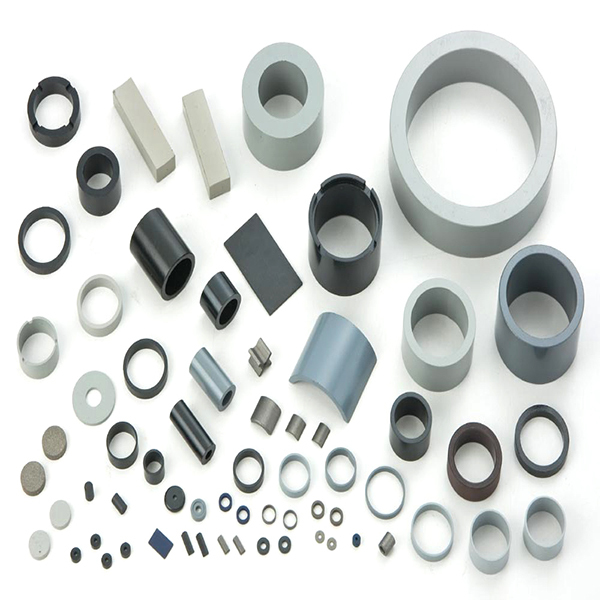 a) Sintered SmCo Magnets have greater brittleness feature,lack of scalability,it should not be used in the design of structural parts made.The mechanical and physical properties of SmCo5 type is better than those of Sm2Co17 type magnet,a little easier to machine. When use Samarium cobalt magnets with being magnetized,must be handled more carefully ,one by one,to avoid cracking and chipping ,to prevent tiny fragments entering into the eyes,causing personal injury. b) During the process:the production, magnetizing, packaging and transportation , maybe a little corner defect appears. 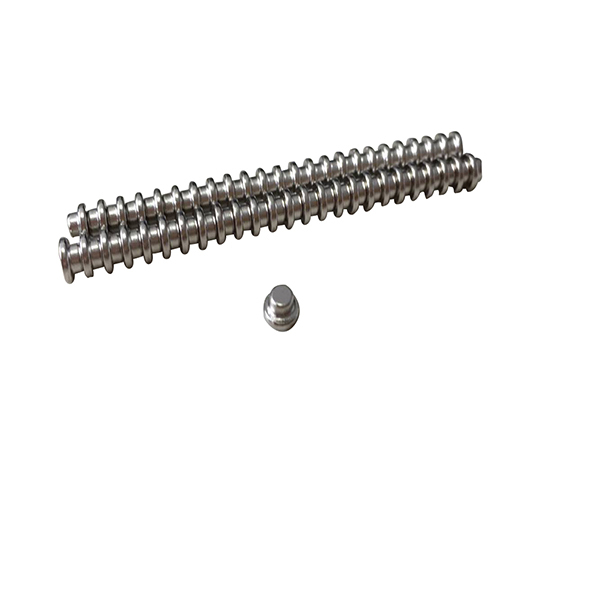 Only do not affect the normal assembling and function,not damaging the magnetic properties ,its temperature stability and the ability of anti-demagnetization, can be Normaluse. c) Need SmCO magnets without being demagnetized,must be familiar with the relatedparametersof the magnetized machine and choose right one to guarantee Saturation magnetization. 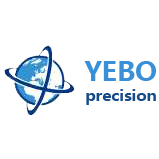 d) If used in heavy acid- alkali environment,the surface coatings can be available,such as Ni,Ni -Cu-Ni,Epoxy,etc.